I am really into self publishing and discovering self published authors at the moment. I feel that it takes a lot to self publish a piece of work and I have great admiration for authors that do that. 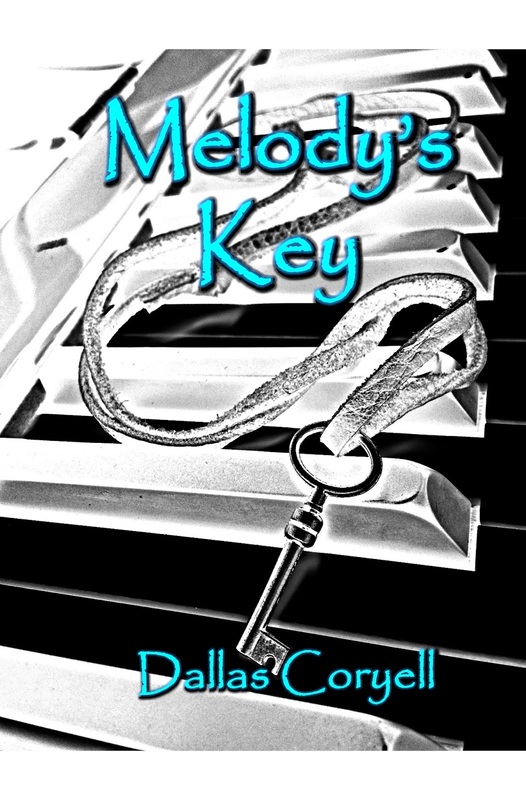 So when I was contacted by author Dallas Coryell about reading his self published novel 'Melody's Key' I knew I had to read it! Plus it's a romance and you all should know I love a soppy love story. It's the hopeless romantic in me coming out. Tegan Lockwood works at her parents bed and breakfast - Lockwood Holidays. 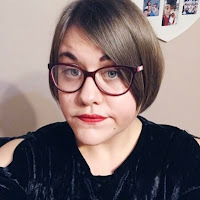 Tegan is very creative both artistically and musically and was offered the chance to go and study at art school in New York, but turned it down as her parents needed her to help with the business. One summer pop star Mason Keane arrives at the complex, wanting to have some time away from the hustle and bustle that fame brings and to rediscover who he really is. After meeting for the first time Tegan is drawn to Mason and he starts to bring out a side of her that she had long forgotten. Soon feelings are made apparent but things for Tegan and Mason aren't going to run smoothly. This book had everything I could want in a romance! It had a gorgeous location - I have recently only been reading books set in USA so when I realised this was set in England I was overjoyed! As I am British I love reading how authors perceive my country through their writing. Dallas got this spot on! I loved reading about Lockwood Manor and it certainly did make me feel like I was there at times. To be honest I would love to live somewhere like Lymington. It was just made out to be an amazing part of Britain to live. It had a slow burning love affair. I know some people don't like slow burning romances, but I do love them. I enjoyed seeing how Tegan and Mason's romance blossomed over time and I found it to be really quite sweet and rather adorable. Although at times I was yelling in my head for them to kiss! Finally it featured music! I am a big music lover and really enjoy it when music is incorporated into fiction. The songs featured in the book were beautifully written and you can actually hear them in full on Dallas's YouTube Channel which is brilliant! The character development of Tegan and Mason was next to none! They were complete changed individuals by the end of the story. Mason helped Tegan open up and learn to love and realise her true potential regarding her music and art. Tegan helped Mason come to terms with his past and learn that a bright future was waiting for him. It was really heartwarming to read about. They are characters that just go to show that the right person will change you for the better. Despite this, I did have a few things that bothered me slightly. At times I felt like the author was trying too hard to be descriptive. I know that writing is all about being descriptive and describing settings, characters, thoughts, emotions but sometimes it can be too much. At times I did actually skim read long descriptive passages because of this when I really knew I shouldn't have, I just found it too intense at times. I also found myself re-reading a few scenes just so I could get a clear picture of what was happening into my head. I do wonder if the author used a thesaurus/dictionary a lot when writing although I could be wrong. Also, I felt like a few things were skipped towards the end. Like who was Simon's mystery man? and did Tegan ever tell anyone else about the letters? It's little things like that that could've have made the story even better. 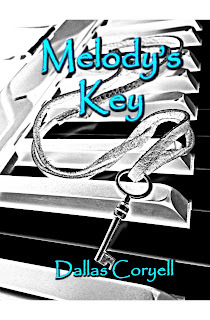 Overall Melody's Key was a really enjoyable read that I found myself getting emotionally invested into it. It is a beautifully written love story with a few life lessons attached such as 'never give up on your dreams' and 'let love find you'. 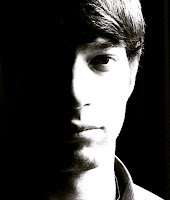 I am looking forward to more books by Dallas Coryell. Dallas Coryell is a musician and author residing deep in the untamed wilds of Michigan, USA, where he desperately attempts to assign meaning to his world through bouts of maniacal creative catharsis and pitifully doomed hopeless romantic fantasies.